*Minimum diameter is required. Check wheel clearance diagram before purchasing or installing. Wilwood manufactures brakes for most popular muscle cars, street rods, after market suspension systems, and many current high performance vehicles. For many of these cars we have many options, for example Wilwood has disc brake conversion kits that will simply convert a completely stock vehicle to disc brakes, fit in stock appearing 14 inch wheels and requires no modification to the vehicle. 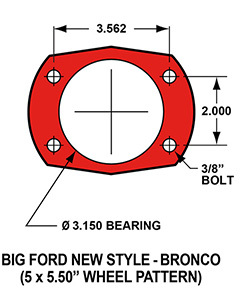 We also have brakes that use huge 14 inch rotors and require use of an 18 inch or larger wheels. For this same vehicle we have brakes designed specifically for drag racing and road racing including kits that fit stock suspension or various aftermarket suspensions and aftermarket rears. So how does one figure out what system you want for your car. 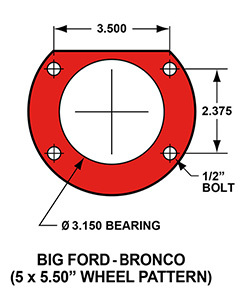 What we recommend is that you select the applicable wheel size below and review the available options. Then you can drill down to the detailed information page for the brake kits that you feel will fulfill your requirements. Pay special attention to what your wheel choice will be and be sure to review the installation pdf. With this information fresh in mind it’s time to call your Wilwood Distributor or Wilwood directly and talk to a knowledgeable technician who can help to get just the brakes you want and make sure it will fit. All images shown are for illustrative purposes only. Actual product received may be different than what is portrayed on the web site. Wilwood makes every effort to maintain our web site to ensure the accuracy of prices and product information. However, product information and prices are subject to change without notice. Please call (805) 388-1188 before ordering to verify current prices and product information.